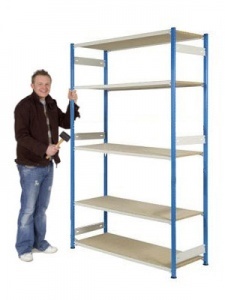 Medium duty steel storage shelving complete with 4 chipboard shelves. 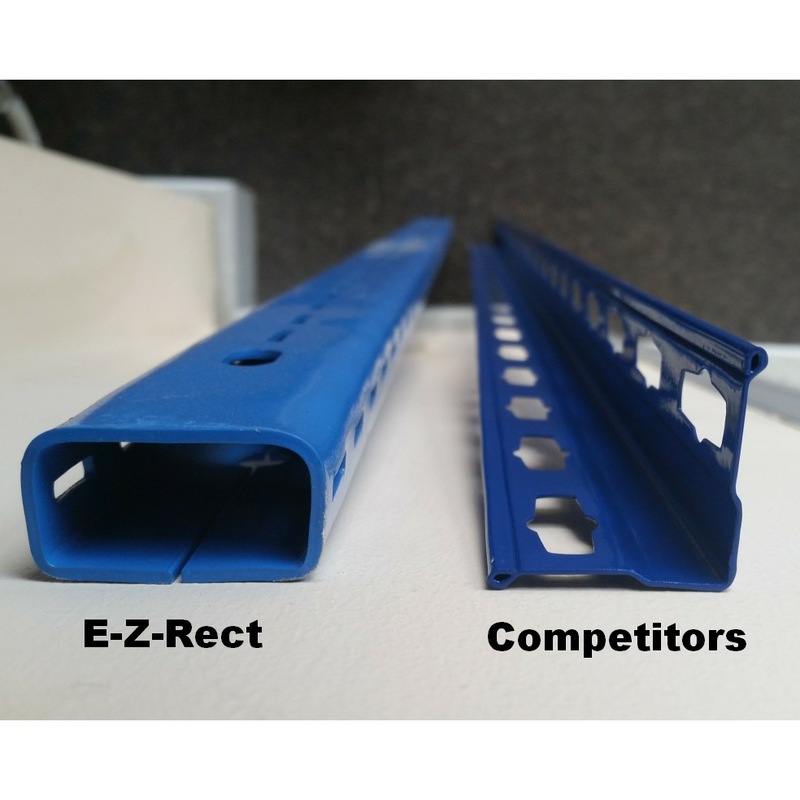 Built from high quality E-Z-RECT Trimline components that are designed to be strong and durable for use in industrial and commercial environments. 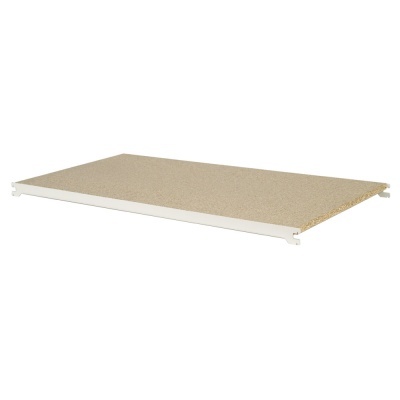 Steel posts and shelf beams create a very strong framework to support the chipboard shelves, each shelf is easily adjustable in height and the whole unit can be assembled in minutes thanks to its clever boltless design. 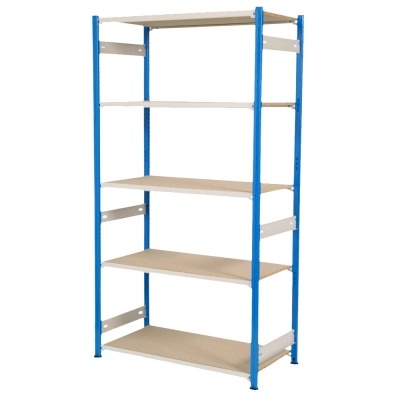 This 5ft high unit is suitable for use in any office, stockroom, garage of stores area, choose from a wide range of sizes and either soft grey or blue posts to suit your exact requirements. 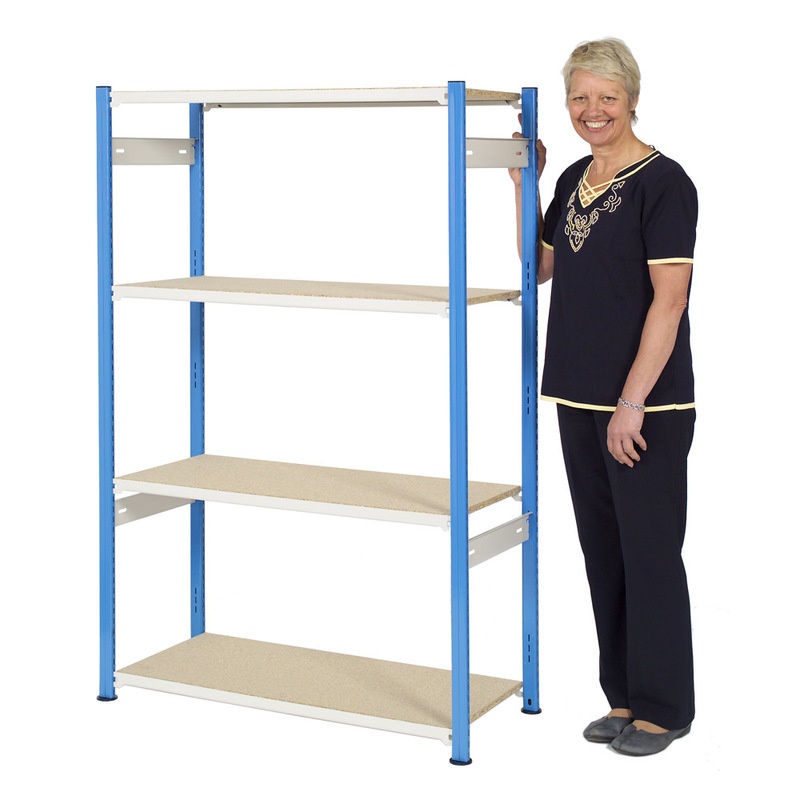 Beware of cheaper/inferior shelving systems that quote high individual shelf load capacities but are simply not strong enough to cope with fully loaded racks - not a problem when you choose any of our E-Z-Rect shelving systems. 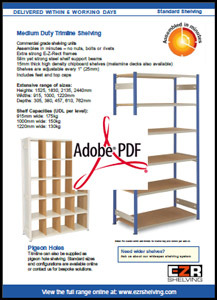 View the image above to see the difference between Trimline tubular posts and the thinner L shaped posts used in many other systems. To calculate the overall size for any of these shelving units please click on the sizing guide tab.